As we wrap up 2018, we wanted to let you, our favorite MOrons, have a say. So, let’s take a look down memory lane – courtesy of Google Analytics. Our approach is simple: We tabulate the most read articles of the year and then, in order to maintain an equal ranking across the line, we divide that total by the number of months the article has been online. This keeps the list from being overrun by articles from early in the year. As with every year, this list includes a few surprises. However, nothing could have prepared us for the sheer dominance of your number one choice, beating the others by almost 30%! Small displacement bikes and adventure bikes also placed well. As always, a few Top 10s made their way into the list due to their SEO value. Read on, and thank you for a great 2018! From its unveiling at EICMA to thrashing our local testing routes, the Kawasaki H2 SX SE altered our perceptions. First, we’re amazed that Kawasaki would produce such an audacious motorcycle and put it within reach of mere mortals. Second, giving Motorcycle.com an exclusive first ride was simply icing on the cake. 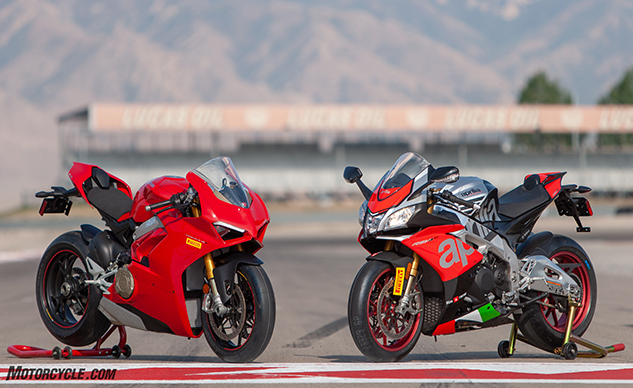 Yeah, these two V4s are street bikes, but the only place where they can really strut their stuff is on the track. To make sure that the Aprilia RSV4 RF and the Ducati Panigale V4 S got the beast shakedown possible, we enlisted three different levels of riders. Representing Group A track riders, we brought Tom Roderick out of retirement, while Trizzle carried the mantle for fast motojournalists. Finally, our ringer (and Utah Motorsports Campus lap record holder) was Shane Turpin. Read on and be amazed at the future of sportbikes. Royal Enfield swung for the fence when it released two models based on the new air-cooled 648cc parallel-Twin. 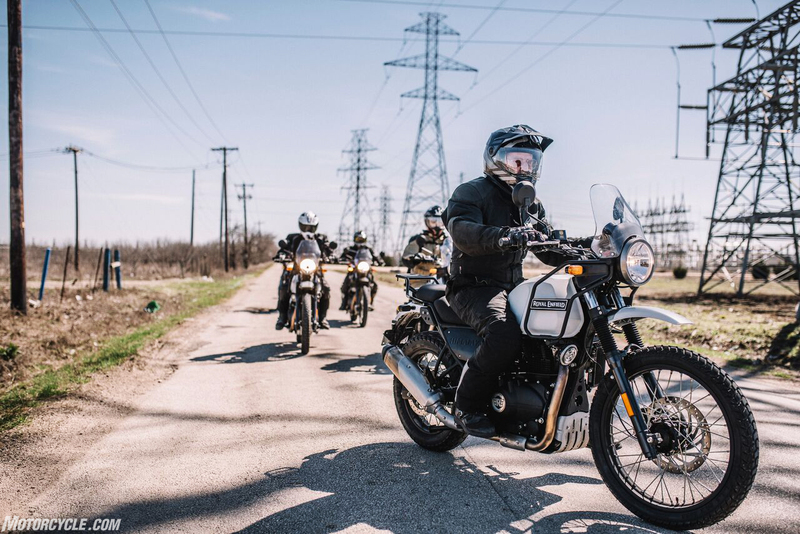 From my perspective on the first ride in Northern California, RE connected solidly with the Continental GT and Interceptor. 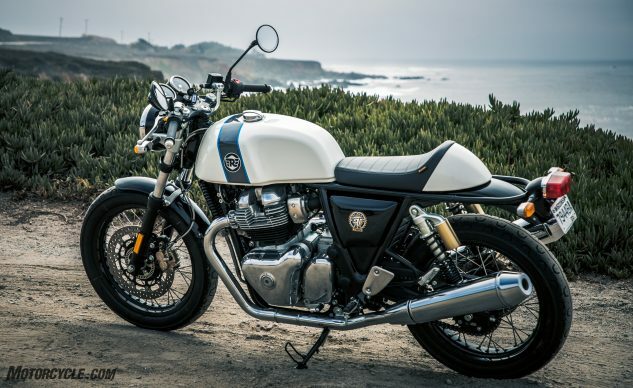 With only minor cosmetic and riding position changes separating the two models, we only see the limited dealer network as the biggest impediment to the bikes scoring big in the U.S.
We were shocked to see Royal Enfield securing not one, but two, entries in our most read listing, but here it is! Regular MO readers are familiar with John Burns’ love of small adventure bikes. 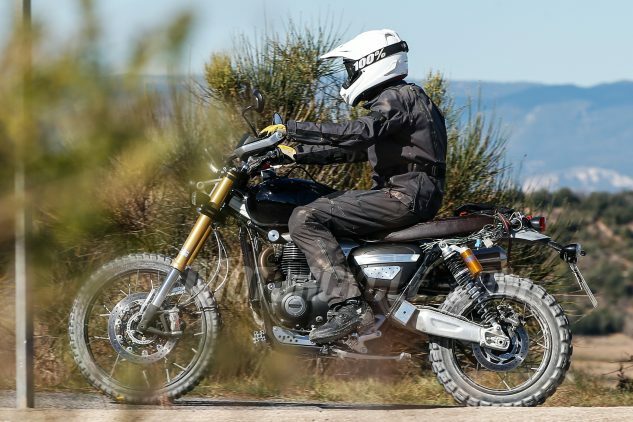 So, naturally, we sent him to the introduction of the Enfield Himalayan, and just as naturally, shenanigans ensued. With the number of you who decided to read this article, we think that Royal Enfield may be onto something. Resident motorcycle historian, John Burns, casts his critical eye towards motorcycles priced at less than $10k and comes away impressed. No, this amount of money isn’t chicken feed, but you can buy a lot of motorcycle for the money these days. Feel free to disagree with John in the comments. He loves to argue on the internet. These spy photos certainly piqued our interests, and according to our hit counter, you were intrigued, too. In the end, the information provided by these few photos proved to be accurate, as our first ride of the Scrambler 1200 illustrated. We expect great things from this motorcycle. We were surprised that, in 2018, our actual reviews were able to overpower the SEO-friendly Top 10 lists that have usually scored well in our annual wrap up. 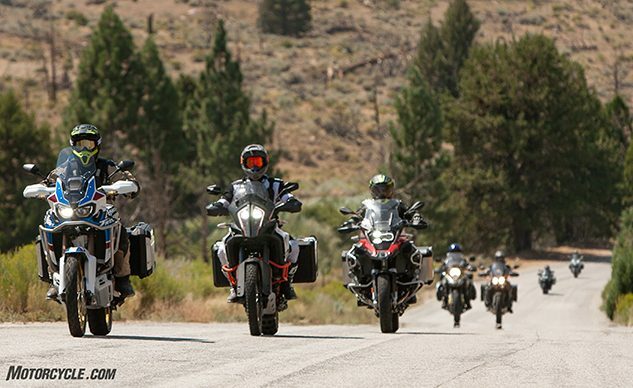 Among the Top 10 lists we posted this year, 10 Best Motorcycles For Long Distance Riding is a natural one to lead the pack. 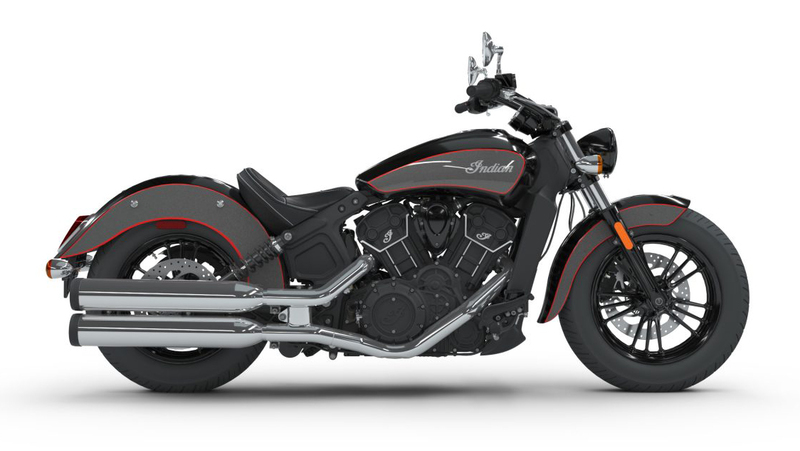 Many of the bikes listed are aspirational models that we like to look at and dream about chasing horizons. The MO Adventure Tour is becoming an annual event. From triple-digit temperatures in the desert to pouring the contents of one bike’s crankcase onto the trail, this year’s adventure didn’t disappoint. We hope you enjoyed the ride as much as we did. 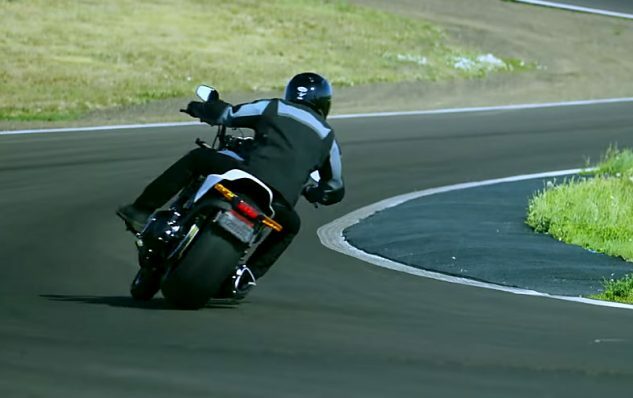 When we read the announcement, we were intrigued by the Harley-Davidson FXDR 114, but we had no idea that this little piece of video sleuthing from Dennis Chung about the announcement would go as crazy as it did with our fellow MOrons. 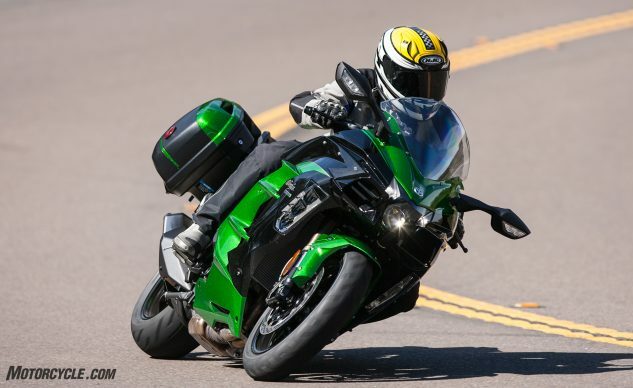 If you want to learn more about it, read Ryan’s first ride review. 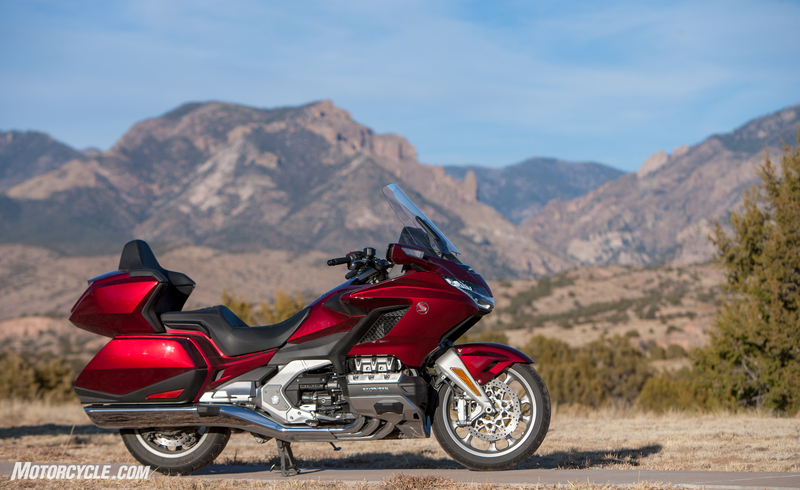 We should have been prepared for the popularity of the new Gold Wing Tour since the preview – based solely on the press release – ranked in our Most Popular Articles Of 2017 list. 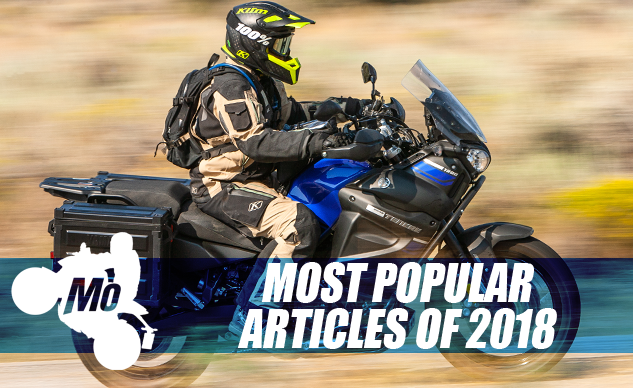 If you’d asked us if the Gold Wing would make it to the list, we would have said yes, but having the Honda to so completely the most popular articles list this year was totally unexpected. However, when we paused to think about it, how many motorcycles can claim to have been in production for 43 years? How many motorcycle models have such a rabid and iconic following? Only a couple come to mind. 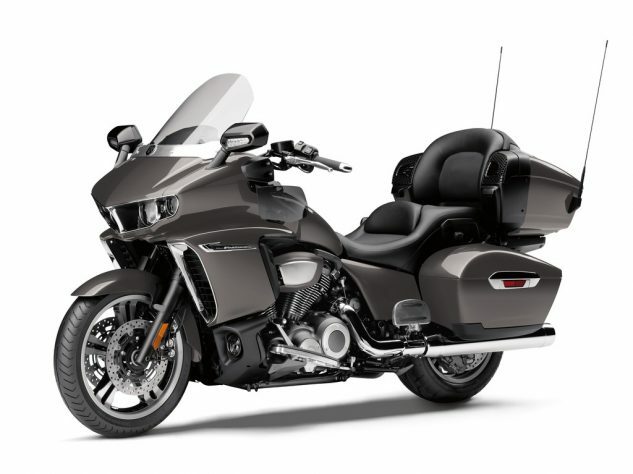 Congratulations Honda for producing the motorcycle that sparked so many readers to click on our review! Oh, and thank you, dear MOrons, for spending 2018 on Motorcycle.com.